Plus, the forced SixAxis motion controls have been removed. Uncharted: The Nathan Drake Collection, the upcoming remastering of all three numbered Uncharted games ahead of the release of Uncharted 4 next year, may not be as extensive or thorough an overhaul as, say, Halo: The Master Chief Collection aspired to be, but it will still be making a few changes, for the better, to the source material. Chief among these is something that should come as welcome news to all fans of the series- the gimmicky and forced SixAxis motion controls, especially in the original Uncharted game, will no longer feature in the remastered collection. These SixAxis controls in Drake’s Fortune harken back to the time when Sony was trying to ride on the Wii train, and trying to convince everybody that it’s half assed implementation of motion via SixAxis was good enough, honest. They will not be missed. Apart from that, there will also be a new, harder difficulty mode, the hardest in series history yet, added. 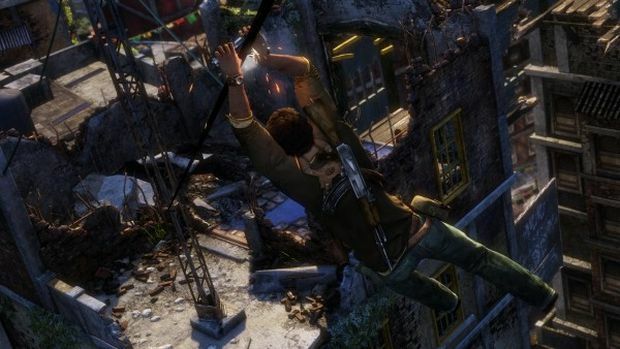 Uncharted: The Nathan Drake Collection launches on the PlayStation 4 in October. Stay tuned to GamingBolt for more coverage and information.